The Editorial Board of The Interpreter Foundation has gone to great lengths to make available and distribute its publications as freely and as widely as possible. To this end we provide our Interpreter Journal articles and other posts in a wide variety of formats (PDF files, MP3 audio, ePub and Kindle mobi eBooks and hard copy paperbacks) both through downloads from our sites and through several other outlets. Except where a format or an outlet requires a minimum cost, all of these formats are free to you. The following tabs provide links to the various notification methods, file formats and sources for our publications. Once your subscription is active, you may select what topics you receive notifications for; change your email address or name; or unsubscribe by clicking the link at the bottom of any email or by going here. 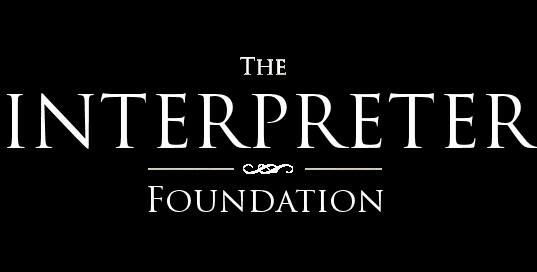 Your subscription will only be used for messages related to the Interpreter Foundation, including notifications of news, events, and new articles. You e-mail address will never be shared with anyon else or used for any other purposes. You are free to unsubscribe at any time. Individual articles and full volumes from the Interpreter Journal may be ordered as bound paperbacks by going to the article or journal page; getting an annual subscription; or by going directly to MagCloud, Amazon or AmazonSmile. Interpreter Journal articles, Interpreter Radio & Interpreter Foundation Podcasts are available in MP3 audio format as direct downloads on article pages as well as from the following vendors. Interpreter Journal articles and full Journals are available in PDF format as direct downloads on article/Journal pages as well as from the following vendors. Interpreter Journal articles and full Journals are available in ePub format as direct downloads on article/Journal pages as well as from the following vendors. Interpreter Journal articles and full Journals are available in Kindle (Mobipocket) format as direct downloads on article/Journal pages as well as from the following vendors. Individual articles and full Volumes from the Interpreter Journal may be downloaded by going to the article or journal page and using the buttons in the right column or the links in the text. We have put together “how-to” documents to explain which subscription options and file formats are available to readers, and best practices for using them. If you’ve read the instructions at the above links, and you still need assistance to read Interpreter in the format of your choosing, please contact us, and we will help you. As we have noted elsewhere on the site, all these materials are made freely available to the public. They are copyrighted by Interpreter under a Creative Commons license (BY-NC-ND). This means you can download these publications in whatever format you choose, and copy and share them freely with all your friends, family, and associates, as long as the work remains unchanged, they are not used for commercial purposes, and they are appropriately attributed to Interpreter: A Journal of Latter-day Saint Faith and Scholarship and its respective authors.